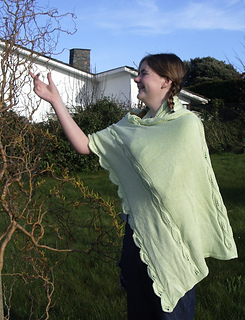 A pretty little wrap, perfect to wear over those spring and summer dresses and keep away the chill. This one is knitted in a luscious alpaca silk combination but you could just as easily knit it in soft wool or even a crisp cotton to team it with your favourite jeans. 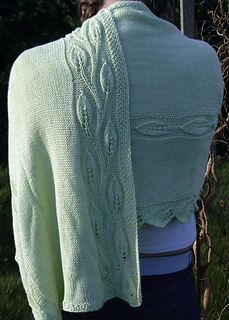 Patterned with three different leafy designs interspersed with bands of stocking stitch this wrap offers a challenge to any knitter looking to expand their skills without worrying about shaping at the same time. 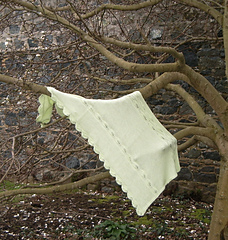 I have included both charted and written instructions for all three leaf patterns.